After at least a decade of neither of us stepping foot inside a Burger King franchise, one of us received a solitary Burger King coupon as concomitant to an Oyster card top up. After much time at the bottom of their purse, the time came to redeem the coupon. 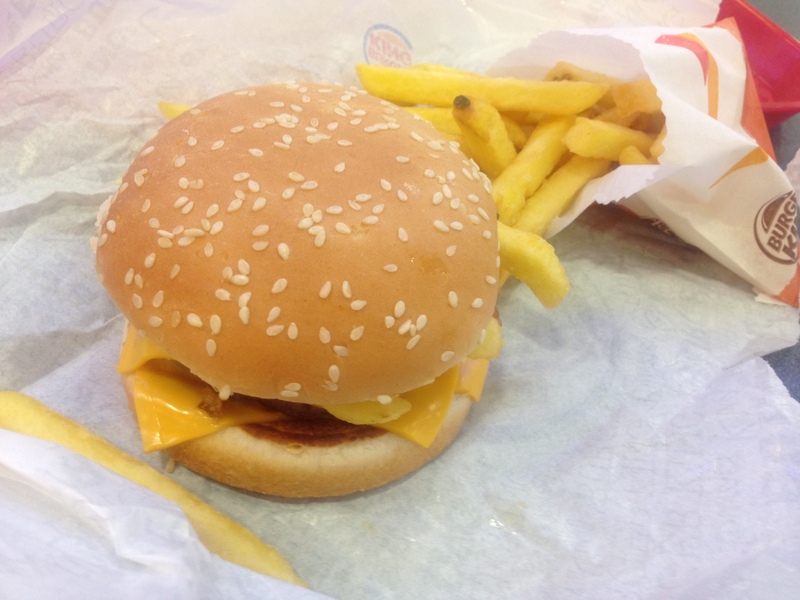 Astounded by the unleashed loveliness greeted by that one, they impelled the other to accompany on a trip to Burger King, paid for by the one who had thought of nothing but the double bacon cheeseburger for days and nights incessantly. Sans coupons, two medium double bacon cheeseburgers, accompanied by chips and bottles of water (the only cold drink we like without alcohol) came to an astonishing £11.78! we were astounded by the high price. We had not anticipated double digits. The Burger King layout is horrible. Traditional fast food style, the lighting was garish, the colour scheme was garish, and given that we waited 8 minutes for our meals, we had much time to take in the ambiance. Children screaming at mothers, mothers screaming at children, couples screaming at each other, all barely audible over the sound of magic FM. When our burgers finally arrived we tucked in happily, our stomachs and hearts warmed by the delicious beef patties and plastic cheese. The bacon, although delicious, had been treated with parsimony, which was deeply upsetting. The chips tried hard. They tried to be both french fries style fast food chips and a chunkier more upmarket variety and ended up as neither. Plus, they were not salty enough, a situation we would of rectified, had either of us been able to bear the prospect of entering that queue again. And our designated ketchup rations were incredibly low. The price was wrong, the atmosphere was awful and the chips were lackadaisical. 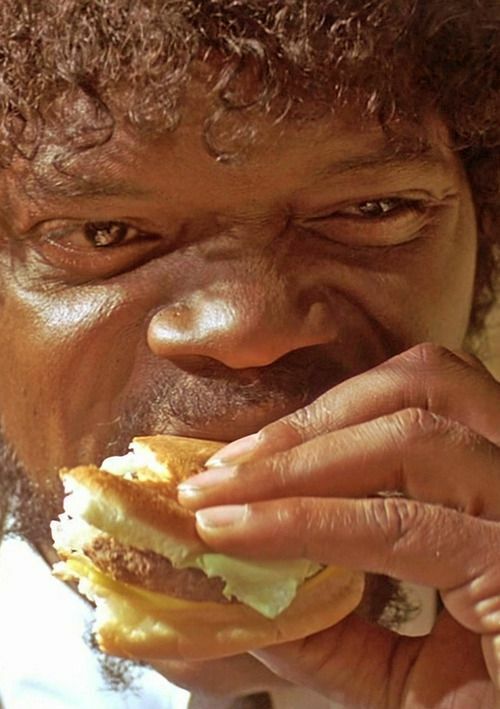 However, the burger did motivate the one who had not tried into doing a Samuel L Jackson impression, proclaiming begrudgingly, “that is a tasty burger”. But nothing else of a positive ilk could be said.